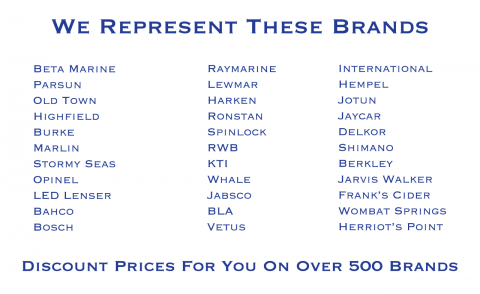 Chandlery, recreational and commercial fishing supplies and much more. We are a passionate team of chandlers and recreational fishermen committed to supplying marine fittings and fishing gear. With our extensive experience at sea in both power and sail vessels and other marine exploits we apply this knowledge to ensure our stock will meet your needs. We are a one-stop shop for all your maritime needs and what we don’t have on shelf we will endeavour to source.